Mandisa Lynn Hundley is a gospel and contemporary Christian artist known professionally as Mandisa. She was born on October 2, 1976 in Citrus Heights, California. She gained fame during the fifth season of American Idol and ended up in ninth place. Her fourth studio album, Overcomer (2013), won a Grammy Award for Best Contemporary Christian Music Album, making Mandisa the fifth American Idol contestant to win a Grammy. The single “Overcomer” reached the top spot on the Billboard Christian Top 20 chart in October 2013. Mandisa has been nominated for a GMA Dove Award six times. Mandisa, an overcomer in her real life (I'm aware of her bio) encourage us to be conquerors too. Everyone has at one point their lives, hit the rock bottom, but not all have found it easy to get back up. 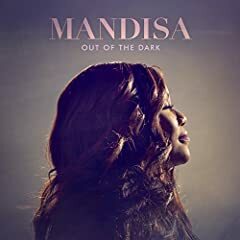 In this song, Mandisa assures us that there's someone mightier than us is ready to lift us from our bended knees. Whatever you're going through right now, be assured that it's temporary. Struggles are necessary. After all, what we become in the process is more important than what will we get in the end. This is Mandisa's way of saying, "Don't Give Up". Scars exists for an important reason other than to be seen as body's blemish...it's to remind us that we may not be at our desired destination yet, but we should be thankful that we made it this far. Scars are the memories of the past that cannot be changed, forgotten, edited or erased, it can only be accepted and learned from. Because sometimes the things we cannot change end up changing us...for the better version of us.